Mindfulness is a form of meditation where you focus on your present state without judging or reacting to your inner emotions or thoughts. Simply focus on your breathing, and allow any thoughts you have to pass through you without letting them influence you. You can choose to sit and practice mindful meditation in sessions, like traditional meditation, but you can also practice throughout the day by taking small moments to breathe and center yourself. 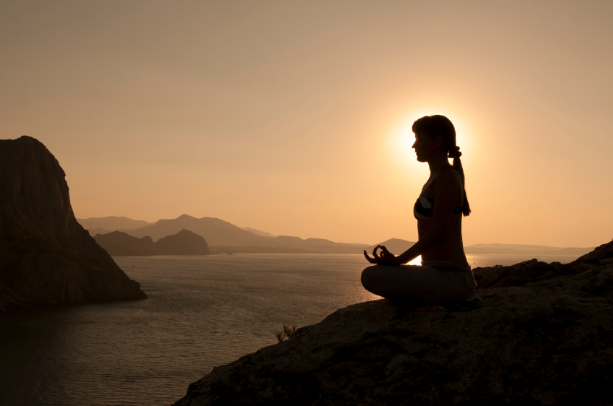 There are two different types of mindfulness: Body-scan meditation and raisin meditation. In body-scan mindful meditation, you “scan” through parts of your body, while focusing on your breath. Scanning your body forces you into the present and to evaluate your present state. 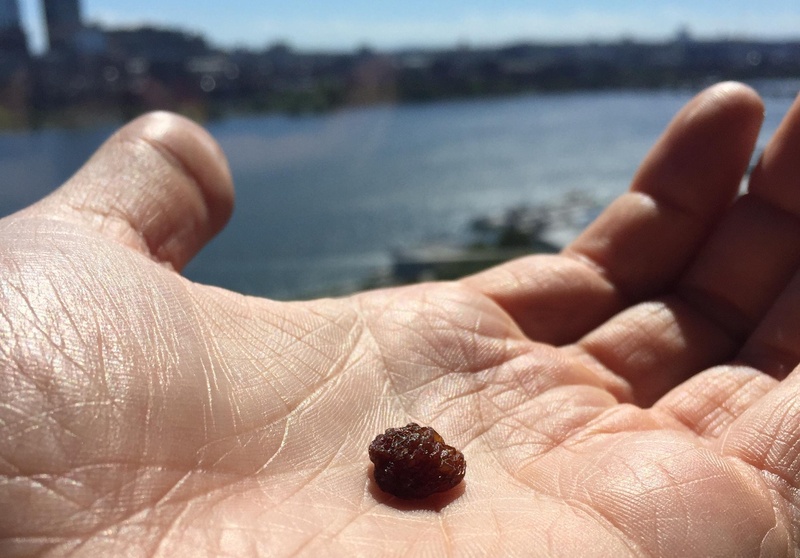 In raisin mindful meditation, you take a raisin in your hand and practice appreciating the full experience by exploring every aspect of it. Go from focusing on the sight, touch, and smell, to finally taste and the feeling of your body processing it once you have swallowed. Raisin meditation is more specific to food consumption than body scan meditation. The general goal of practicing it is to apply the practice to all foods that you eat, and to be more present and attentive when you eat, and less automatic. Check out our blog on meditation where we covered the effects on chronic stress, cortisol, heart health, LDL cholesterol and triglycerides in more detail. Because it has been established that the body’s biological stress response is associated with increased hunger, preference for food high in fat and sugar, and increased storage of fat in the abdomen (1), a lot of researchers (and us at InsideTracker!) think that mindfulness can help with weight loss, too. Mindfulness has even been incorporated into practice, as it is increasingly being used to address eating-related issues ranging from disorders to weight management. The short answer: There isn’t quite enough scientific evidence available for us to say “yes, definitely!” However, we think it has great promise for aiding weight loss because of its other benefits. The long answer: Practicing mindfulness for weight loss clearly shows great promise, but this area of research is still quite new, and the results are not yet conclusive. There are certain limitations in the current literature such as small sample sizes and a lack of standardized procedures among studies. Also, in many of the studies, weight loss was not the primary focus, but was a secondary measure. This means that the researchers main focus was on a different variable (such as stress) and weight was also measured, but the mindfulness intervention was not designed specifically for weight loss. This also explains why there are differences between different studies in the methods or type of mindful meditation they use. While we're waiting for additional research focusing on mindful meditation as a tool for weight loss, if you're facing any big changes this fall, mindful meditation is still a great practice to begin. Even if nothing is changing for you except the color of the leaves, give it a try! Mindfulness while eating can help you enjoy your food more thoroughly, and help you curb cravings by understanding and accepting them. It can help you to break the automaticity of eating, and teach you to appreciate and experience the process. If you’re reading this and thinking “this all sounds really difficult”, you’re not wrong there. True mindfulness can be tricky to master, but practice makes perfect and the best part is that even just learning and practicing can increase your self awareness and help with many aspects of your life. You can get books and CDs to learn mindful meditation, but the best way to learn is in a class or with an instructor. 1) Dallman MF. “Stress-induced obesity and the emotional nervous system.” Trends in Endocrinology & Metabolism 21.3(2010). 2) Katterman SN et al. “Mindfulness meditation as an intervention for binge eating, emotional eating, and weight loss: A systematic review”. Eating Behaviors 15(2014): 197-204.